Can I setup a maximum for a shift? If employees forget to punch out, they can be automatically punched out based on a shift maximum. 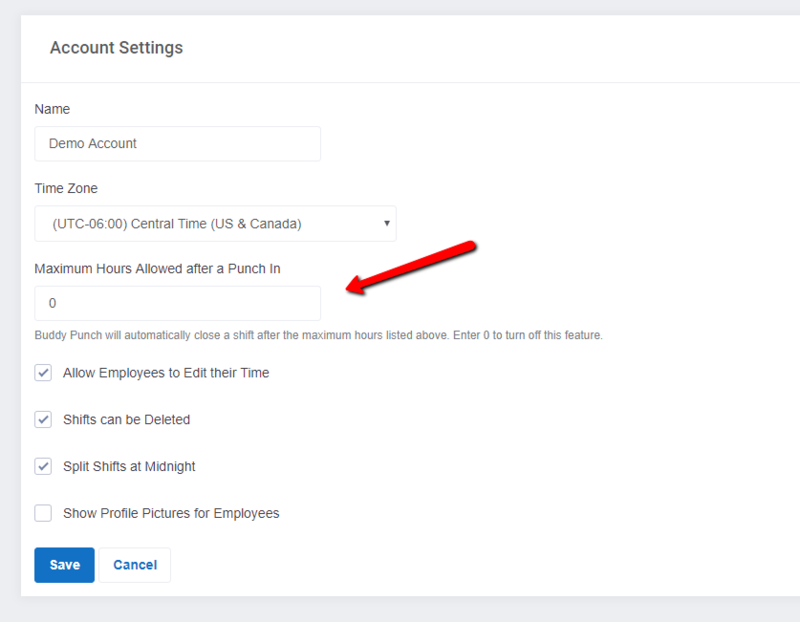 Yes - as an administrator log into your account and navigate to Settings --> Account Settings and choose the maximum # of hours allowed in a shift. Once an employee reaches this limit they will automatically get logged out and a pending request will be generated that you can act on.